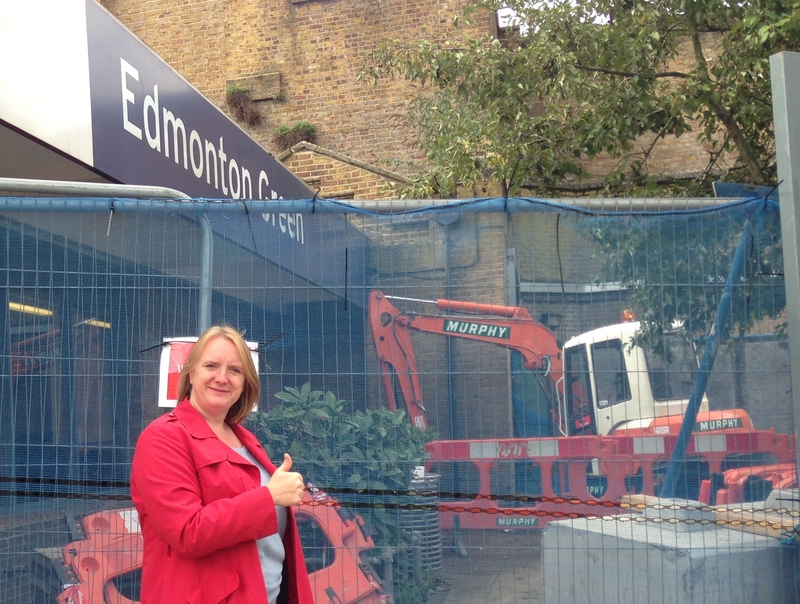 I am pleased to see that construction has now begun to provide lift access to Edmonton Green station after a widespread campaign to secure Access for All funding from the Department for Transport by myself, local Edmonton MP Andy Love, Enfield Disability Action, Enfield Over 50s Forum and Enfield Council. The lifts are due to be completed by March 2014 and will be greatly welcomed by many local residents who struggle with the steep stairs to the platforms. Edmonton Green is the busiest station in Enfield and sits within the top quarter of busiest stations in Outer London with an estimated 3 million passengers per year. Furthermore, Edmonton Green is a busy interchange with a bus station serving many different parts of Enfield and a key link to Central London. Currently the only way to access Edmonton Green station platforms is via the stairs which presents a barrier for those who are elderly, disabled or those with young children. It is important that stations are made accessible for all passengers to use and I will continue to work hard on this issue. Posted on October 18, 2013 October 18, 2013 by Joanne McCartneyPosted in Enfield, TransportTagged Access for All, Edmonton Green station, Enfield, Joanne McCartney, lifts, London Assembly, step-free access.